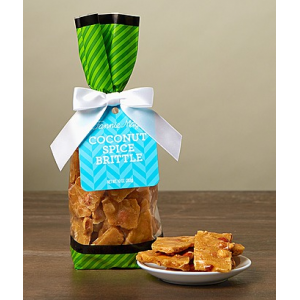 Coconut Spice Brittle^ 10oz at $9.99. Peanut brittle with a coconut and spice twist.If you like peanut brittle you will love this tasty treat!! !